In a joint effort to address a particular drinking water distribution issue, TOBIN Consulting Engineers, an Irish engineering company with offices in Dublin, Galway, Castlebar and London, and The Water Institute at DCU, have confirmed a collaboration on an innovative water project. The venture will be funded through Enterprise Ireland’s Innovation Voucher scheme and will enable the scoping of longer term research on the use of asbestos cement water mains across Ireland. The project commences in January 2019 and will run for a number of months. “We are delighted to partner with TOBIN Consulting Engineers who have expertise in the area of water distribution, complemented by our innovation, research and development skills, and we hope we can build on this partnership for the future” says Prof. Fiona Regan, Director of the Institute. 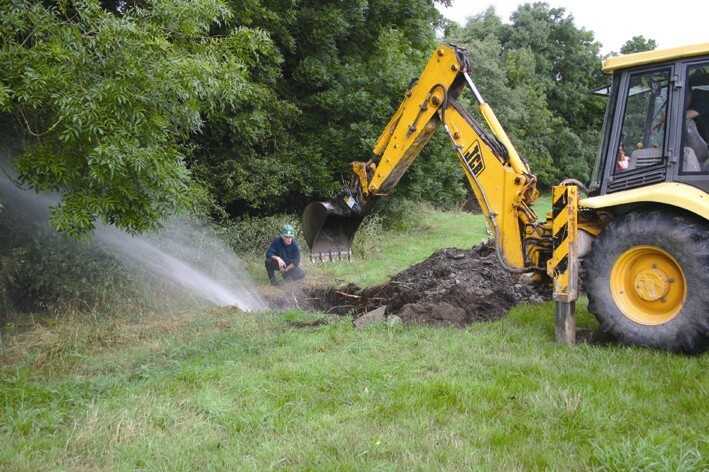 “This important project will look at failure of asbestos cement water mains which were installed in Ireland up to the late 1980s and we are delighted to team up with The Water Institute at DCU to undertake this research” added Brian Gallagher, Associate Director at TOBIN Consulting Engineers.